The winter months are just as beautiful in the Lakes as any other time of year, and if you are a keen explorer of the beautiful outdoors, you will have fewer crowds to contend with when visiting some of the more popular spots that get rather busy during the summertime. Seeing the mountains transformed by the wintery weather is also a spectacle that you don’t want to miss, whether you are already familiar with them throughout the seasons or not. But which walks should you consider scheduling in this winter? Whether you just want to wrap up warm, pop on some sensible boots, and go for something relatively easy, or step it up a notch and bust out the crampons for something a little more technically challenging, we’ve got a selection of fabulous winter walks to share with you! A nice easy walk for those who don’t want anything too full on but still long for incredbile wintery views, this Latrigg walk that begins in Keswick is a great choice. You’ll be rewarded for the minimal effort by a wonderful panorama of the town, Derwentwater, and Borrowdale and the central fells. 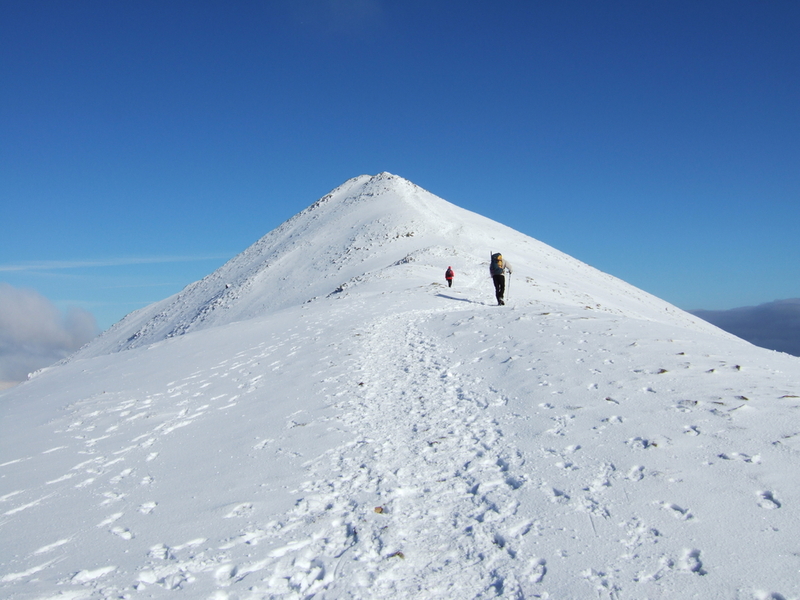 Behind you, you’ll see Skiddaw and its neighbours, and all for just a couple of hour’s hike! This route is steepest at the beginning, so it gets easier as you go. Great for anybody who is increasing their fitness levels or short on time! Another walk in which smaller hills turn out to be immensely satisfying to walk up, and exceed expectations when it comes to their views, this walk offers surprisingly stunning views from the summit of High Rigg. Enjoy views of Blencathra, Skiddaw, Bassenthwaite Lake, and the western fells as well as Thirlmere reservoir. Towards the end of the walk, you will even come across a tea garden at Low Bridge End Farm, a fabulous reward, particularly on a cold day when hot drinks are very much appreciated. This walk takes just under two and a half hours, and begins from the United Utilities carpark just off the A591 at Legburthwaite. If you’re wanting to enjoy a big day of hiking with a cosy pub at the end of it, this is a great walk to try! In the winter months, daylight hours are shorter, and so this is a shorter route to the classic round of Birkhouse Moor and Catstycam that does not include Striding and Swirrel Edges. Beginning and ending in Glenridding, this wonderful walk will take around four hours minimum, and is more technically challenging than the others on this list, however, it is ever so rewarding and enjoying a pint in the Traveller’s Rest on your return will feel very well earned indeed! We hope this has given you some inspiration for some beautiful wintery walks in the Lake District to try this winter! If you still need more, check out some of our older guides such as this one here. If you are planning a getaway in the Lakes over this winter, be sure to check the availability of our Lake District holiday parks for a cosy base to explore from.